Home Sicklerville News Weekly Roundup: Junior Police Academy is a success! Weekly Roundup: Junior Police Academy is a success! 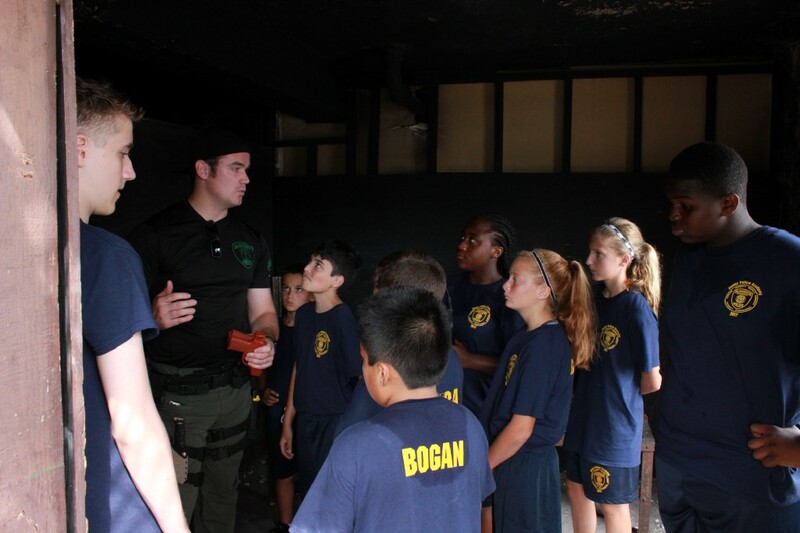 Patrolman Craig Walsh talks to the cadets about how to clear a room. The Gloucester Township Police Department’s Junior Police Academy gets great reviews from about 98 percent of the participants, according to the officers that run the program. The Junior Police Academy lasts for five days and accepts young adults between the ages of 10 and 16. During those five days, the GTPD Special Response Team comes out once to show the kids how to clear rooms and other basic tasks. The kids in attendance at the Junior Police Academy were smiling and looked to be having a great time. Throughout the week, the juveniles are treated as cadets and given a uniform to wear every day. It consists of physical exercise, lectures, presentations, hands-on activities and a field trip. The purpose of the week is so that cadets learn the importance of being physically fit, staying drug free, teamwork and respect. Paradise Island Concert has been rescheduled to Aug. 21 at Veteran’s Park. Make sure you don’t miss it! Camden County Prosecutor Mary Eva Colalillo and Gloucester Township Police Chief Harry Earle reported an Atco woman was charged with vehicular homicide in connection with a fatal motor vehicle accident April 30. She was charged with one count of second degree Death by Auto and Driving Under the Influence, for the incident on the Black Horse Pike which resulted in the death of Charles Beehler, 55, of Gloucester Township.